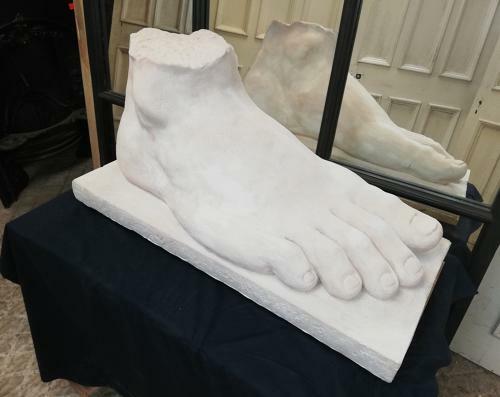 A fantastic cast pale stone foot by artist Crispin Foy. The foot sculpture has been scaled up from the original life sized sculpture and is set on to a stone base. The interesting sculpture can be used internally or externally and has wonderful attention to detail, making it a very striking decor item.